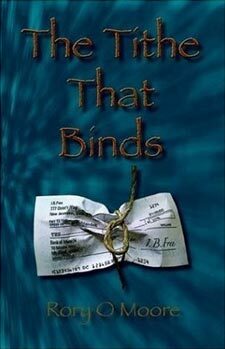 I finished the book, “The Tithe That Binds” by Rory O. Moore recently (probably a few months back). I just haven’t gotten around to posting about it. I’ve actually posted a short testimony by Rory Moore some time ago so feel free to read it. Every Sunday, in nearly all churches, after 30-45 minutes of beautiful music and singing, a short act is played out usually between 10:30 and 11:30 am. Someone steps up to the pulpit while others fan out through the auditorium with small envelopes. Most of those envelopes are inscribed with “God loves a cheerful giver.” There are blanks to write in name, address, date, and, of course, the amount of cash or check that will be inserted. Typically, almost all of those envelopes have a place indicating “Tithe”________, “Offering”________, “Children’s ministry”____, “Sunday School”________, “Other”_______. The Faithful dutifully contribute their part in this play, passing the filled envelopes to the attendants who whisk them all away to a private office. Meanwhile, a speaker is usually expounding to the congregation why they should contribute, affirming the reasoning directly from the Bible. This is done sometimes with personal testimony and sometimes with an implied threat that if they do not cooperate, they are robbing God. Sometimes they will speak passionately of tithing to the church as an expression of thanks to God and act of worship. Tithing is a long held tradition. 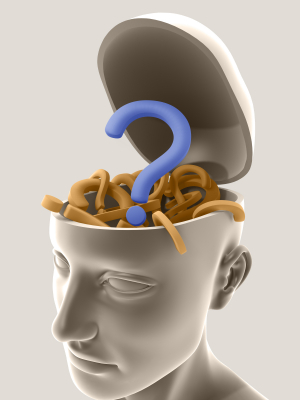 Most Christians are too busy to question and search out religious practices for themselves. No one wants to spend the extra effort, time, and study, to pray and seek a higher truth. It is much easier to trust tradition or to merely study an issue, only as far as a denomination or pastor teaches. We have been carefully conditioned not to challenge convention. Sometimes God Himself will challenge us to put aside what others say and teach to delve deeper into a subject in order to find the hidden manna of God’s Word. The Tithe That Binds is the fruit of one of those challenges. If you have the courage to read this, you may never see tithing in the same way again. From what i remember about this book, it does a good job refuting the tithe. I think Rory takes a few too many stabs at some of his other deeply passionate, but controversial beliefs. You can read about them on Prepare His Way. He doesn’t really get too off topic, so it’s not bad. It just was unexpected. Normally, when i flip back through a book i’ve just read, i will see a couple of passages that i’ve underlined or notated. I didn’t make a single mark in this book, which probably means that Rory just reinforced all of the same points that i’ve already heard. It’s not a criticism of this writing, it’s just to point out that this book is intended to help convert those who still believe in tithing. I’m kind of a little beyond that point now. Depending on how updated he can keep it. Rory has a blog dedicated to tithing that i may add in the blogroll in the future. Because it has been a while since i’ve read the book and my memory is gone, there’s not much for me to contribute in recommendations or criticism of this book. But overall, i think i would give the book 7 stars out of 10.
habra estos libros en español? ?